Yesterday I hit 29 years and 365 days of living post-birth and obviously once you’re over 21 presents basically stop, but I did get one gift and it is certainly not a bad one. I’ve never actually owned any Haley Strategic Partners nylon before, I’ve had a couple of the SF Scout light mounts for some years now (way back before even KeyMod was on the scene) and I’ve had a lot of MP2s in the collection for a while, but none of the chest rigs, rifle bags or packs until today. 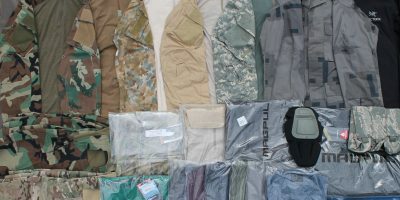 Very quick and efficient service from Tactical-Kit as per. Personally, I’m rather anti the idea of the Flatpacks with the PALS attachment. 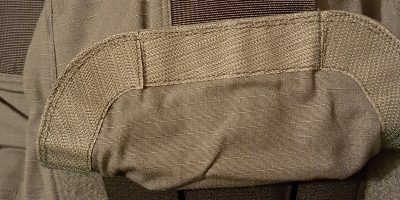 You can’t easily get at the contents if you weave it on to the back of a PC or PALS vest and if you use the standard shoulder straps you’ve got a sub optimal setup in terms of comfort against your back. The grey Flatpack is the one oddity in the line up in that it cannot mount via PALS but has spacer mesh on the back instead. Seeing as the only applications I would want to use this pack in are A) with a chest rig or B) as a small standalone backpack, the grey version made by far and away the most sense. Personally if I’m going, for example, in to London for a day trip, I cannot stand being relegated to carrying only what pockets will accommodate. I want a water bottle and light jacket at the minimum, perhaps sun glasses, a hat and some factor 1000 for my skin tone, along with the option to stash anything I happen to pick up along the way and carry it comfortably. Similar story with walking around expos, minor outdoor excursions etc. I’ve also experimented a lot with chest rigs and trying to integrate hydro over the years, something I know many many other people have tried, especially within the airsoft arena, but generally not had good results. Annoying as it is the best solution I’ve been aware of up until now is to just wear both the sets of straps for the chest rig and a small hydro pack like a standalone Camelbak or the Flatpack. My past experiments all involved 3L water sources when attached to another rig however, so I’m going to try a 1L Source and maybe the balance will be alright. As soon as you try and integrate the harness setup in to one unit you always created a set of scales and the balance can be tricky, even more so perhaps with real magazines that can get lighter far quicker than you’d perhaps drink water. Or indeed vice versa. If the gear you want or need to carry in front of you doesn’t balance out with the the amount you’re going to carry on your back… well unlucky sunshine. I think I’ve seen Bryan over at ITS Tactical run an LBT 1961 Chest rig + small hydro pack combo and done so very successfully, but he’s absolutely filling that chest rig with lots of dense kit like radios and batteries as well as loaded rifle mags, so there’s no chance of a couple of litres of water out-weighing that. There are many other factors to consider but I’ll leave those for another day. I’ll talk more about these down the line at which point I’ll hopefully also have some conclusions to report on whether the Spiritus Systems Mk3 + Flatpack combo can really be made to work in the way I’d like (I’ve owned the grey Spiritus for a while already I should add). 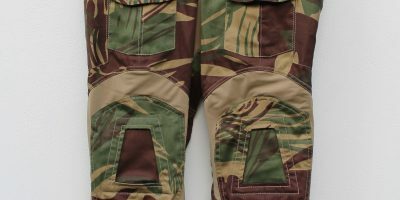 It’s certainly comfortable to wear and good at carrying magazines, but we’ll see how it all does with more running around, loaded with water etc. Right now I think this combined rig has potential to be quite ideal for indoor/urban airsoft games and perhaps for the civilian shooter taking rifle classes. Carrying water on the person tends to be less of a concern on the flat range of course because you probably have a table or stashed bag nearby, but I can never pretend to imagine every application that a rig like the Mk3 chassis might have. If we look at the mod Kit Badger has done to make the front pouch of his Mk3 a binocular caddy for hunting for example, I think we see more potential emerging with more options to consider and the more options emerge the more ideas can then branch off of those.